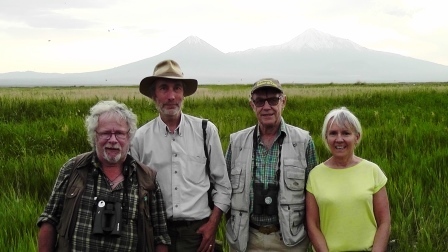 A group of staff and supporters of World Land Trust (WLT) have returned from a site visit to Armenia enthusiastic about supporting habitat preservation in the South Caucasus. The delegation was headed by WLT Chief Executive John Burton. He was joined by TV presenter Bill Oddie and journalist Simon Barnes, both Council members and author Nicola Davies, a WLT Ambassador. The visit was hosted by WLT’s partner in Armenia, Foundation for the Preservation of Wildlife and Cultural Assets (FPWC). The visitors’ programme included meetings with Armenia’s newly appointed Minister of Nature Protection, Aramayis Grigoryan; the famous botanist and FPWC adviser Professor Eleanora Gabrielyan and Ralph Yirikian, General Manager of VivaCell-MTS, which provides corporate support to FPWC. The group also met several representatives of local communities, among them Urtsadzor village mayor, Raffael Andreasyan. During these meetings John publicly expressed his admiration for FPWC”s nature conservation efforts: “FPWC is to be applauded for setting up the first privately protected area in Armenia. 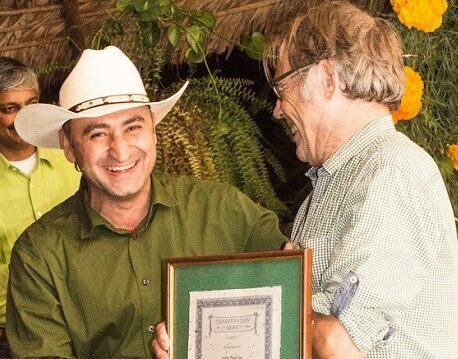 The Caucasus Wildlife Refuge is a ground breaking approach to protecting biodiversity in the buffer zone of Khosrov Forest State Reserve.” John called on both Armenian and international stakeholders to support FPWC and its work. It was John’s fourth visit to the country and he was delighted that others in the party were able to witness for the first time the landscape and extraordinary biodiversity of the region. During the trip the group went into the mountains on horseback in the company of Manuk Manukyan, a wildlife ranger supported by WLT’s Keepers of the Wild programme (pictured, right). Bill Oddie: “We know that there are leopards up there in the mountains.” © Misad / dreamstime.com. Nicola Davies joined the field trip in order to research her next book for children. She explored the Caucasus Wildlife Refuge and visited Urtsadzor village to get a deeper understanding of local people’s perception of living close to wild animals such as leopard, bear and lynx. During the trip, the group visited the Armash wetlands, where they were thrilled to see a remarkable variety of birds. Some of the birds dipping and diving in the Armenian wetlands are common to the British Isles – swallows, house martins and swifts – but in numbers not seen in this country for decades. 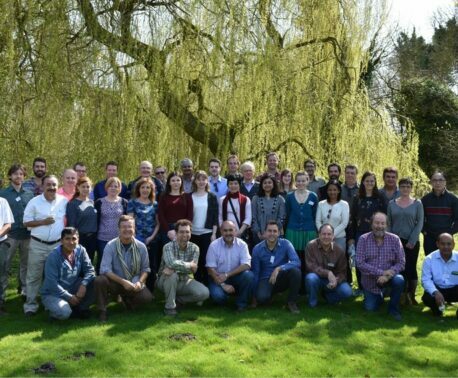 The visit took place 16-21 May 2014. Since 2012 WLT has been running a special appeal to protect habitat for the Caucasian Leopard, listed by IUCN as Critically Endangered. Other large mammals including the Bezoar Goat and the Syrian Brown Bear are also benefiting from WLT support along with a range of birds including Eurasian Black Vulture and Lammergeier. 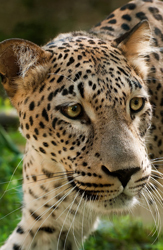 You can support conservation in Armenia by donating to Save the Caucasian Leopard or by supporting WLT’s Keepers of the Wild appeal.